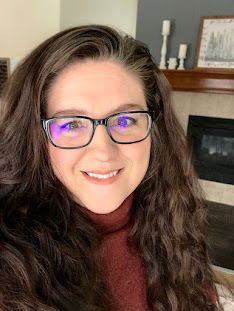 When I was in grade school it was still popular to go to the roller rink, rent a pair of skates and do the chicken dance! Before the Hokey Pokey I frequently re-energized with a licorice rope that would be tied to my belt loop if not finished. 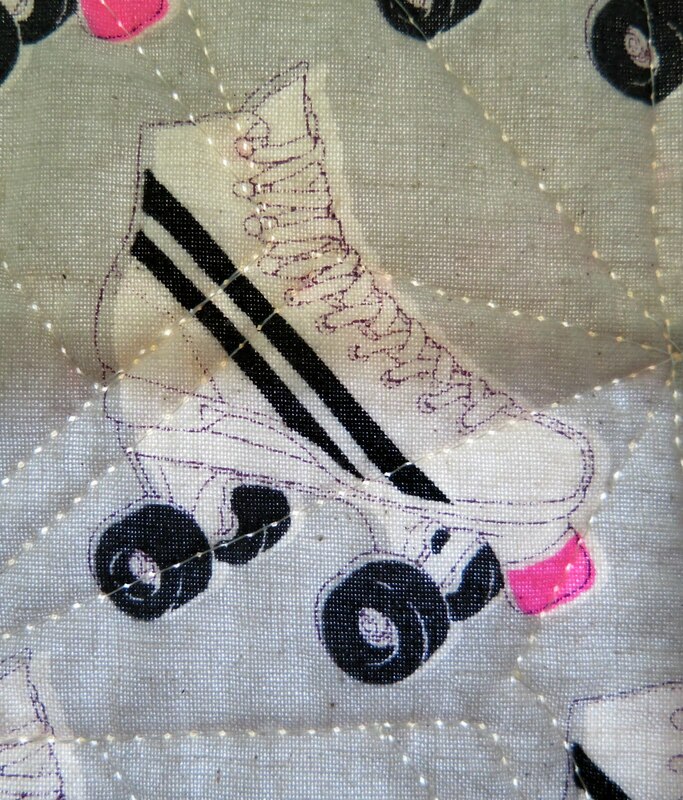 So when I saw Melody Miller's print, Roller Rink, for Cotton and Steel's Black and White 2017 fabric line I was instantly inspired to design a roller skate themed quilt. I also had hidden away in my stash 1 yard of Riley Blake neon pink form a couple years ago. It was just enough for the quilt top and binding. The white and black are also from my stash and the background fabric is another Cotton and Steel print, Sprinkles in Jelly Bracelet designed by Sarah Watt. The roller skate theme and the neon pink kept me motivated. 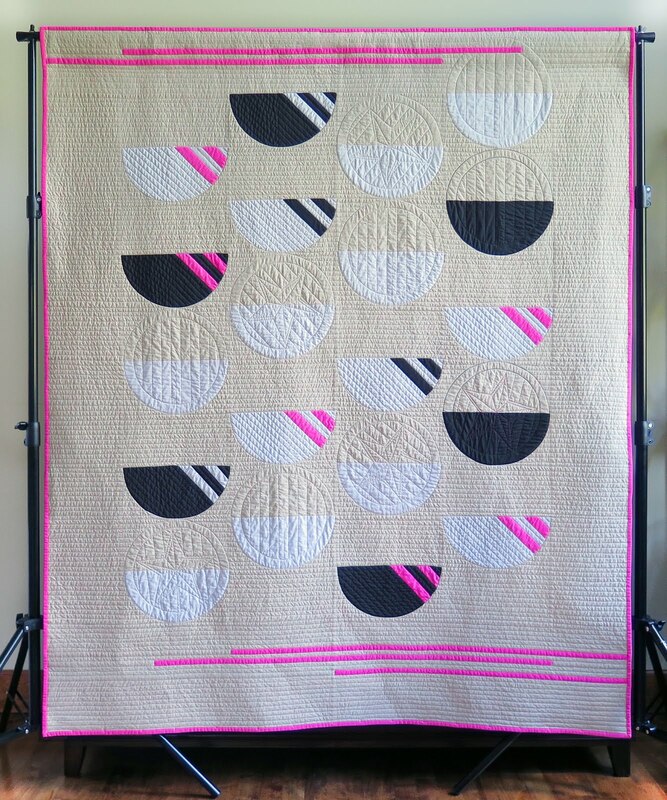 I finished this quilt from design to blocking in 16 days! 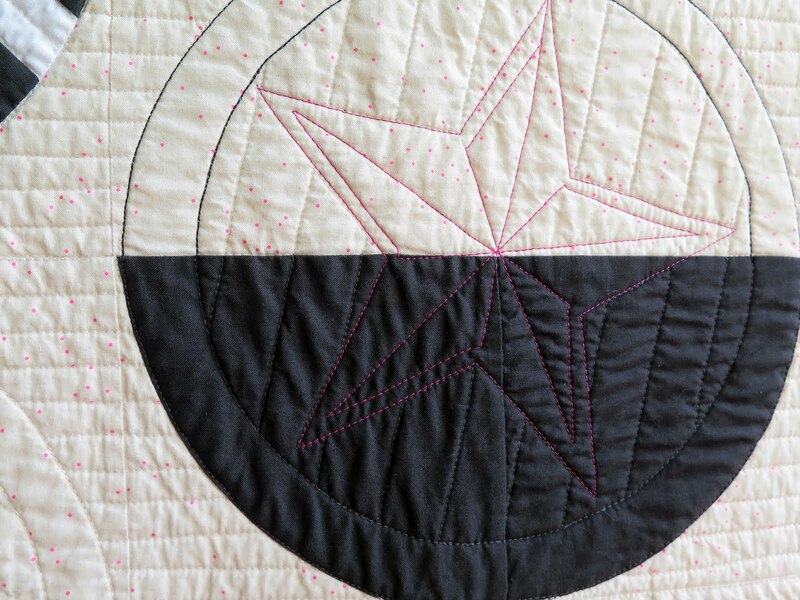 I wanted to keep the retro theme in the quilting so I thought of the circles and stars. 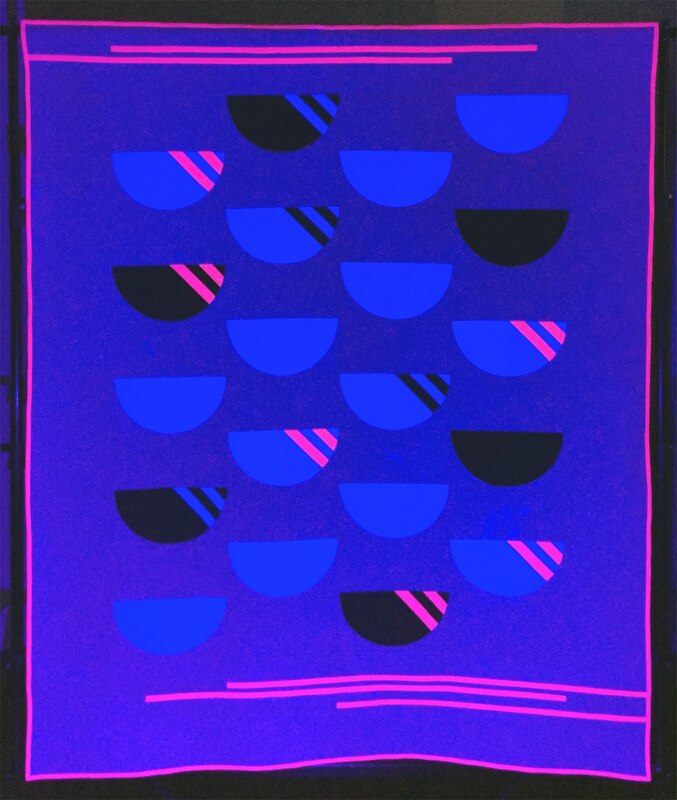 Fortunately I found a star in my stock Photoshop shapes that I could quilt without any starts and stops. I used a combination of Aurifil threads 28, 40 and 50 weight to add depth and texture. 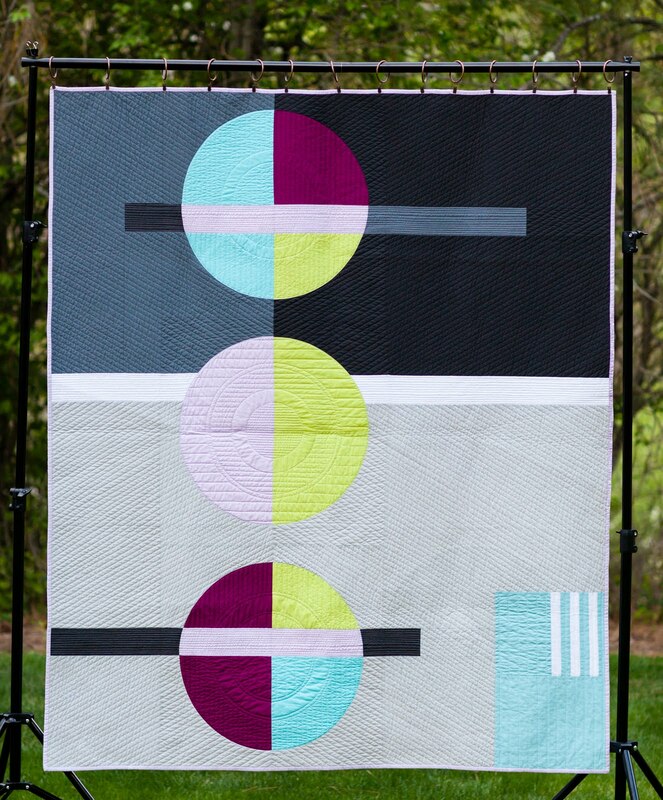 Aurifil Thread was kind enough to notice my quilt and repost it on their facebook page and Instagram feed. In the end I couldn't help myself I had to get a black light and snap a picture with the neon pink in it's full glory! 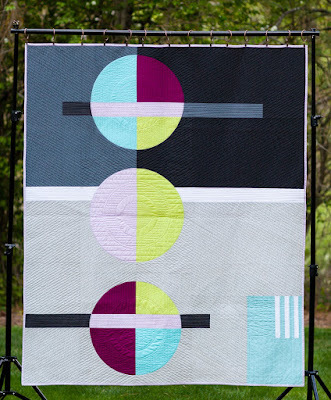 This quilt was so much fun to make that I've already written a pattern for it! I'm going to have it to a couple tester by Friday and I'm hoping to have it available to purchase towards the middle of May. On another note I've been following the adventures of my Modern Stepping Stones quilt and it is currently in Australia, yes Australia, for the Australasian Quilt Convention. 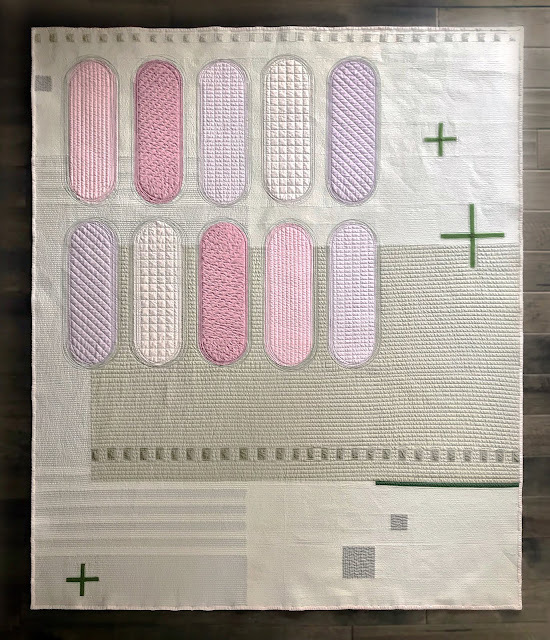 HERE is a link to a post that The MQG made on their Instagram account showing some of the quilts in the Best of Quiltcon showcase. The quilts in the showcase are so amazing, I'm still shocked each time I see Modern Stepping Stones hanging with them. I'm hoping to get a picture from the show via IG that I can post on my blog, fingers crossed. This is such a fun quilt, and evokes wonderful memories for me as well, as I spent alot of my childhood at the rink! Very Fun! Very cool! Love the shapes, the pink and those stars!! Thank you! I think it's great when a maker's excitement for a project is visible in the finished design! Saw it in the flesh at the show on Friday - love it!! YAY! Thank you. It looked like an amazing show.